Nakayoshi is a social and volunteer group in the Bay Area that helps you connect with the community and meet great people. Join us – we’d love to meet you! We’ll email you once a month with a list of fun upcoming events. Nakayoshi is a community development organization for young professionals in their twenties and thirties. 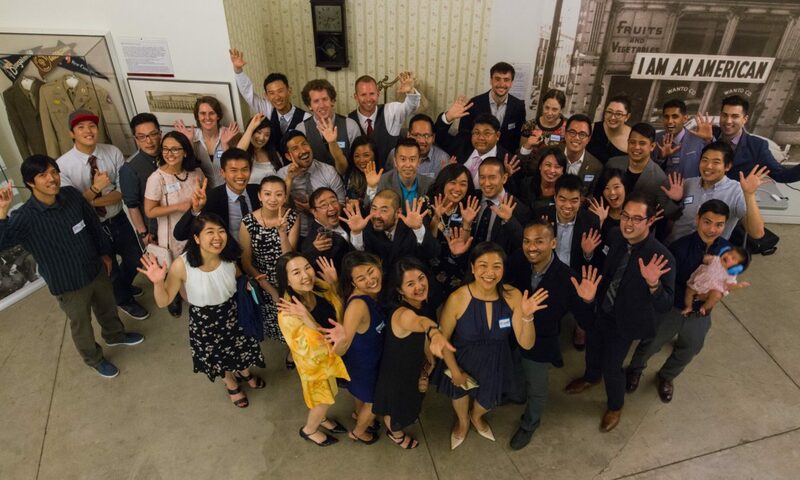 We provide opportunities to network, socialize, and give back within the Japanese American and Asian Pacific American community in the Bay Area. You choose your level of involvement – be a super volunteer or just join us for happy hour, it’s all good. Nakayoshi is a program of the San Francisco JACL, as well as a part of the JACL Young Professionals Caucus. Nakayoshi is free and open to everyone. You don’t have to be Japanese to join! There’s no membership form or sign-up process – just show up at an event. (But you can join our mailing list and follow us on social media to stay in the loop about events.) We also encourage those who are interested to become members of our parent organization, the JACL. What kind of events does Nakayoshi have? We have one social event and one volunteer event every month, and we’re also working on adding professional development and political engagement events to our calendar. Past social events have included ice skating, karaoke, hiking, and weekend trips, and we’ve volunteered at the Cherry-Blossom Festival, Sake Day, Films of Remembrance, the Colma cemetery clean-up, and at our own noodle booth at the Nihonmachi Street Fair. Check out our 2018 end-of-year update to learn about what we did last year! Join our mailing list by filling out the form at the top of the page. Like our Facebook page and subscribe to our event feed. Have an idea for an event? Want to make build your leadership skills and make a difference in the community? Come out to our next monthly planning meeting! Our core committee will help you through the event planning process.